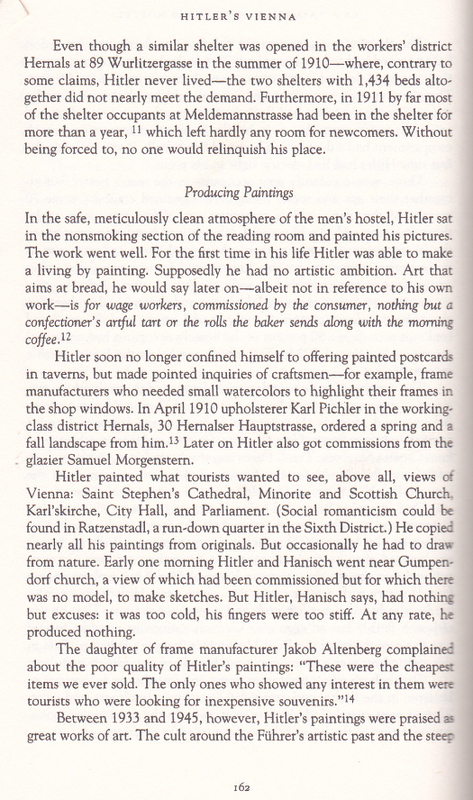 Hitler's source book for his paintings? Brigitte Hamann. Hitlers Wien. Lehrjahre eines Diktators. Piper, München, 1996. 652p. 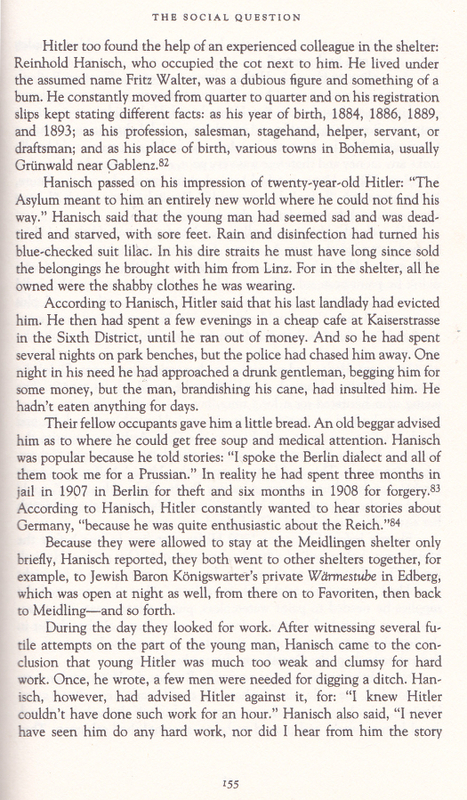 English translation: Hitlers Vienna. A dictator's apprenticeship. Oxford University Press, New York, 1999. 482p. Nederlandse vertaling: Het Wenen van Hitler. 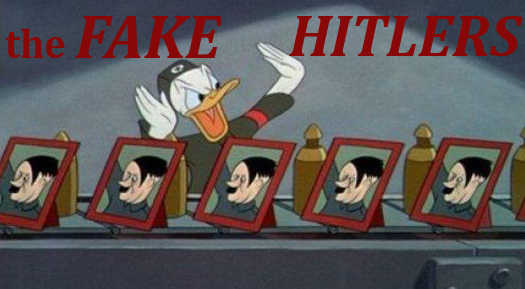 De biografie van de jonge Adolf. Vertaling [uit het Duits] Roelof Posthuma. Omniboek, Utrecht, . 508p. 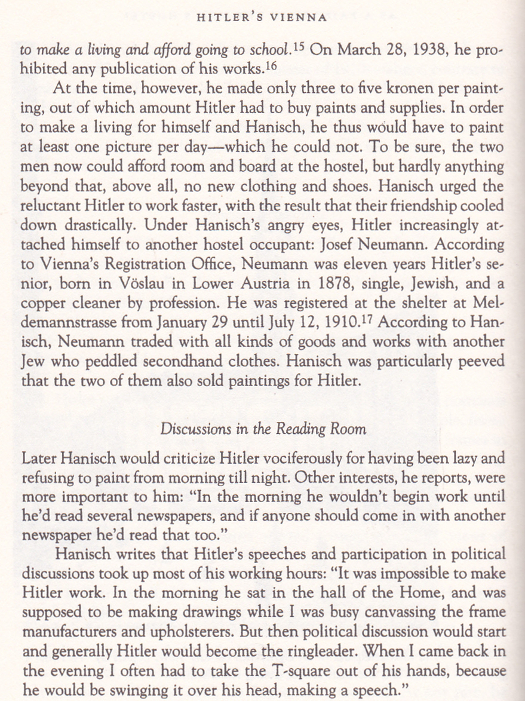 Hitler's Vienna from the German-Austrian historian Brigitte Hamann is a fine study on the Vienna in which the adult Adolf Hitler grew up. 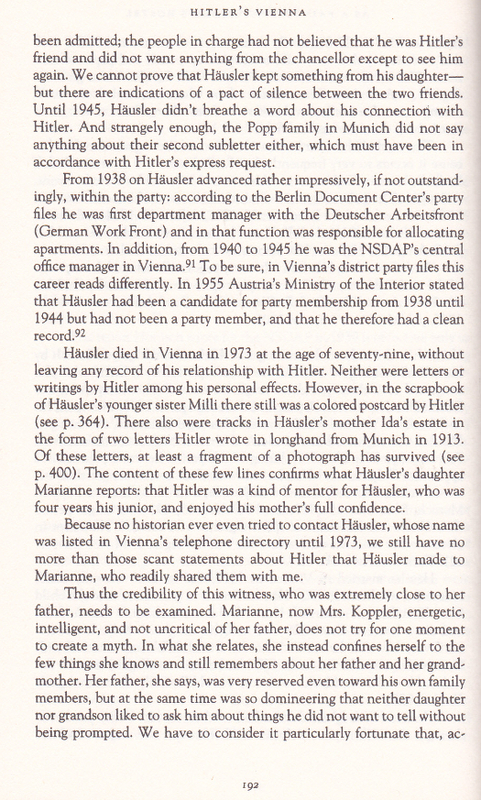 But she - as all other historians - was faced with one major problem: almost no 100% reliable witness reports on Hitlers activities in his Viennese years exist. In such a case a historian can do two things: ignore all unreliable reports and focus on the fragments that can be relied on, or build a story on all reports. 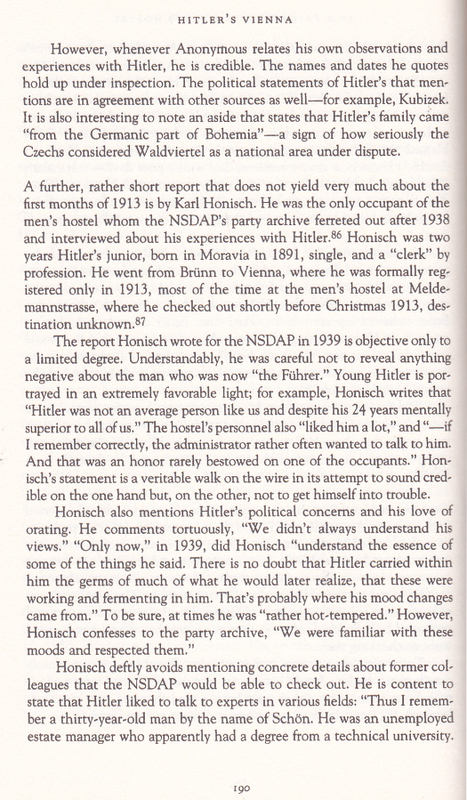 Volker Ullrich, one of the rare solid Hitler biographers, choose for the first option. Brigitte Hamann, alas, opted for the second one. 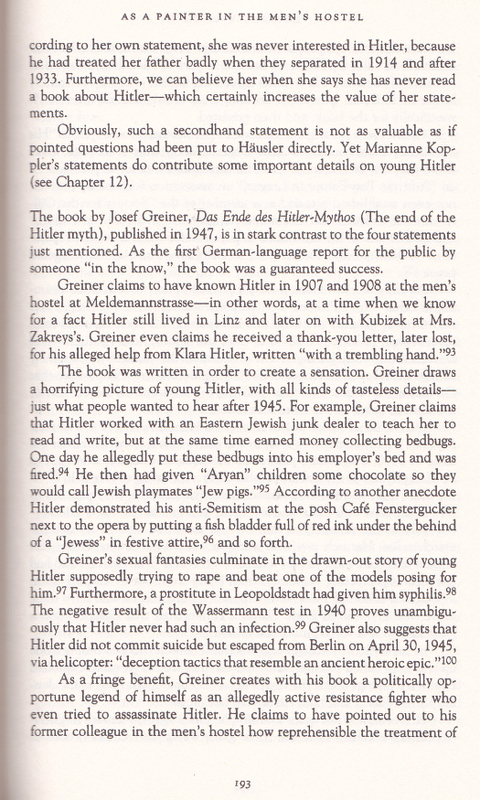 On page 58 of her book she mentions the American author Bradley F. Smith, who wrote Adolf Hitler: His Family, Childhood and Youth (Stanford, 1967). According to her his book was based partially on corrupted sources, which caused that corrupted information was passed on via his book to later books. She calls this a 'migrating mistake'. Unfortunately, these 'migrating mistakes' do occur in her book too. 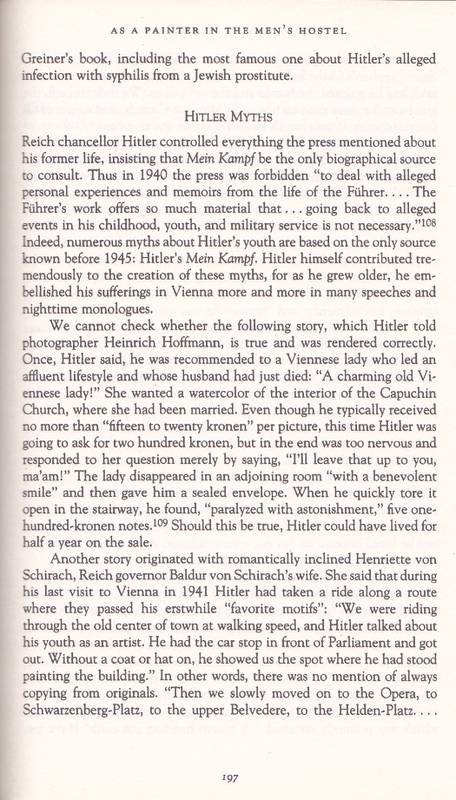 She relied on concoctions made up by the Austrian art dealer and swindler Peter Jahn, and she used the book Adolf Hitler als Maler und Zeichner (of which Jahn was co-author), for which she herself warned against as being totally unreliable, as a source. As we say in the Netherlands: that's asking for problems. Brigitte Hamann (born 1940) died in 2016. See: Günther Haller. Brigitte Hamann – Historikerin mit liebendem Blick. Obituary. Die Presse, 05-10-2016. On note 14: The daughter of Jacob Altenberg was born in 1896. See page 173. The watercolor depicted on this page look very similar to Florence 12, but differs from it on several points. It is impossible to say if one of these paintings is authentic. On note 98: this 'deposition' consists of concoctions by Peter Jahn. 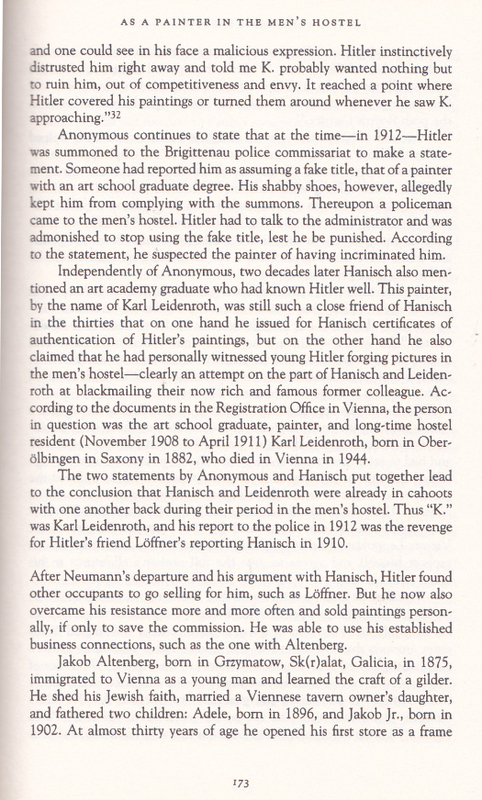 There's no evidence that Peter Jahn was involved in the NSDAP Hauptarchiv-search for Hitler paintings in 1937-1939. This is not entirely correct: he started at Liechtensteinstrasse 2. Around 1907 his company moved to nr. 4. 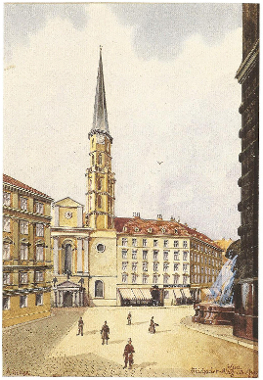 Source: Adolph Lehmann's Allgemeiner Wohnungs-Anzeiger 1859-1922 [-1942]. On note 100: this 'deposition by Morgenstern' is a concoction by Peter Jahn. 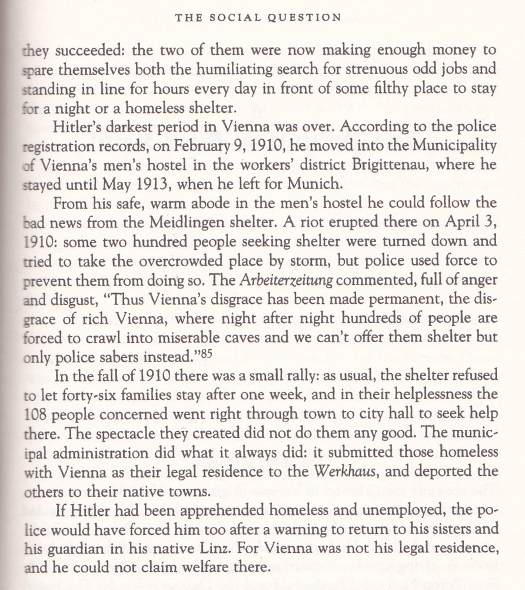 There's no logical reason to think of why Samuel Morgenstern would have made such a deposit at Dr. Arthur Kulka (who had a office at Liechtensteinstrasse 2 in 1937, and can be easily found in the Vienna address book) in 1937 - a full year before the Anschluss. There's also no evidence that Morgenstern kept a database of customers going back to 1910 or 1911. 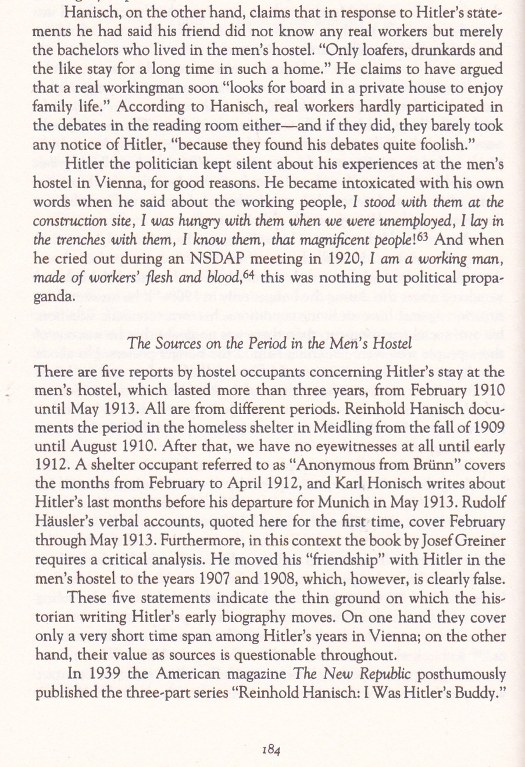 The archive article mentioned here, 'Munich BDSta "People" collection 12.659', consists of newspaper articles about Hitler's private life, and have nothing to do with Peter Jahn, Morgenstern or the Hitlerpaintings. 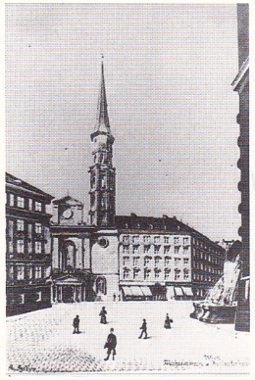 Thius was discovered by the Austrian historian Gregor Derntl, when he investigated Peter Jahn in 2015 and visited the Munich Archive. Source: Gregor Dertnl, e-mail to Droog, 11-07-2018. 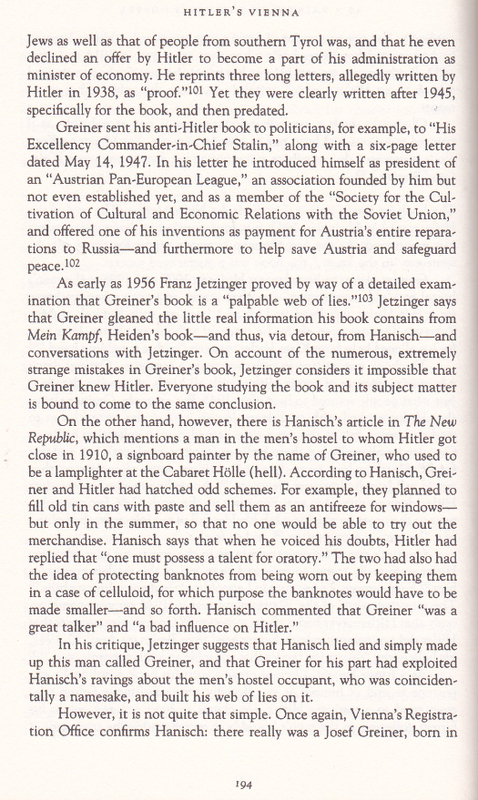 We think it is higly probable that Jahn had published this story on Morgenstern somewhere and gave the misleading source information, which Hamann must have copied without checking. 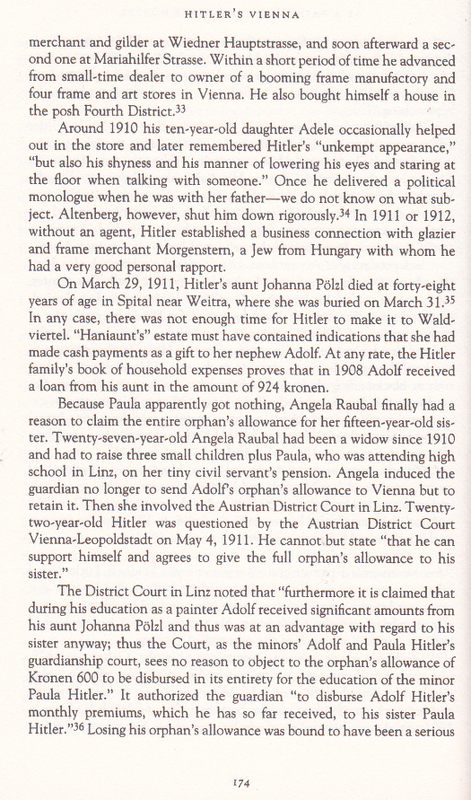 On note 101: In Vienna lived many Pichler families. There's no evidence that this statement has anything to do with 'the regular clientele' of samuel Morgenstern. 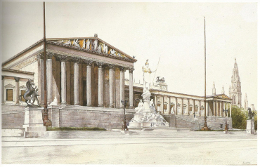 On note 103: the NSDAP Hauptarchiv was interested in the watercolors of the young Hitler in 1938-1939. The report of the hairdresser doesn't make any sense at all. See: Franz Josef Gangelmayer. Das Parteiarchivwesen der NSDAP. But is she correct on this? The painting on the righ is Florence 5, also titled 'Wien, Parlament. 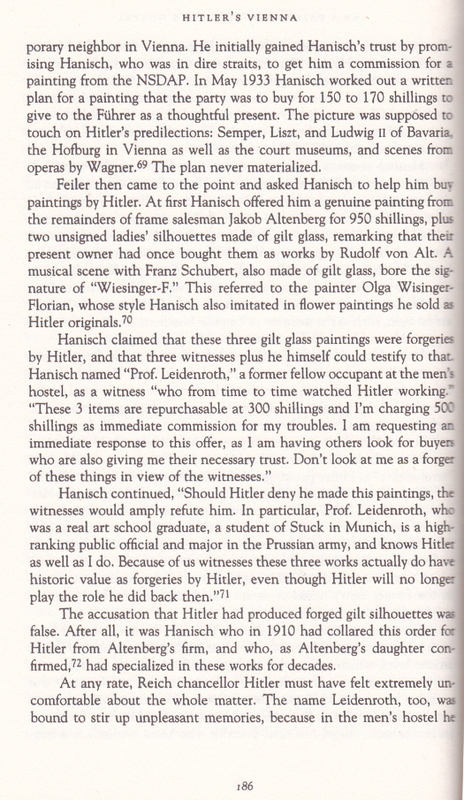 Part of the same collection of alleged Hitler watercolors that since 1945 (not 1946) is safeguarded in Italy. Both have almost similar sizes, Nr. 4 measures 26,5 x 41,6 cm, nr. 5 26 x 41,3 cm. According to Institut für Zeitgeschichte archivist Hermann Weiss, who inspected this collection in 1984, both Florence 4 and 5 are authentic. We doubt his judgement on this - but that's not relevant to this question: which one is the water color on which the argument between Hitler and Hanisch in 1910 was based? 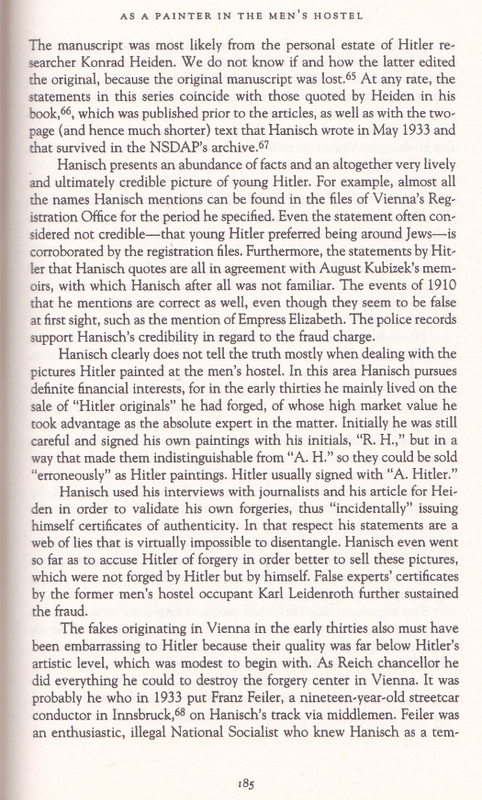 On note 31: this is a falsely dated statement from Hanisch, probably written around 1935. See also note 67, page 185. On note 33: see Spotts, page 140. 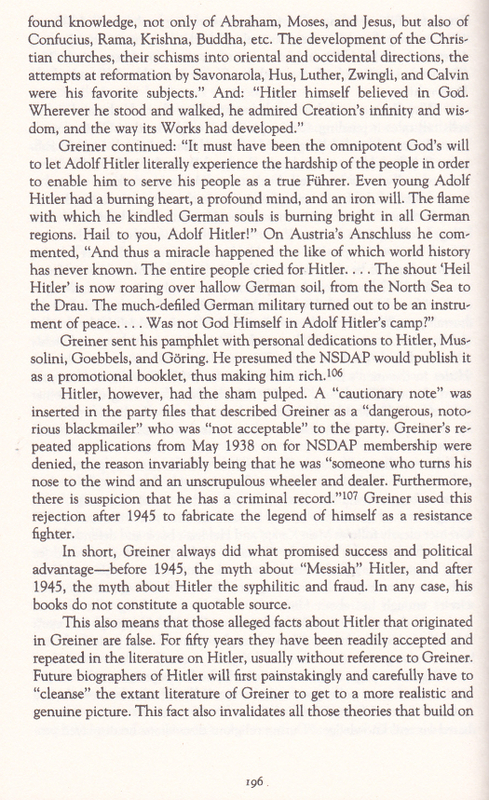 On: "In 1911 or 1912, without an agent, Hitler established a business connection with glazier and frame merchant Morgenstern, a jew from Hungary with whom he had a very good persional rapport." 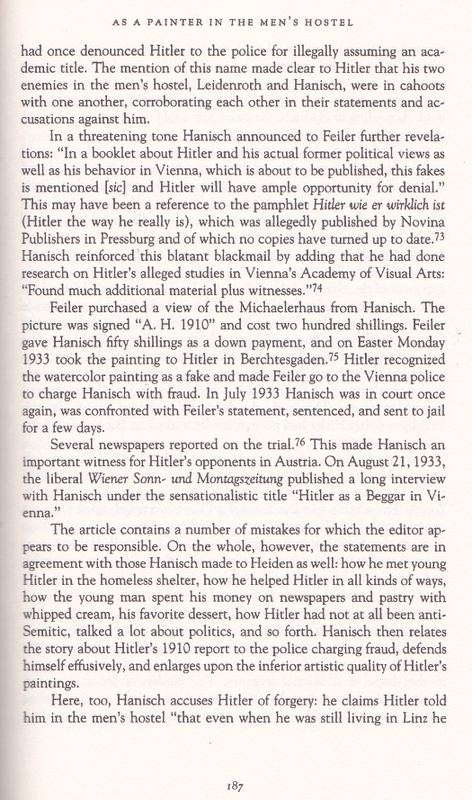 The source on this is art swindler Peter Jahn, who used for this concoction fragments from Reinhold Hanisch' statement. 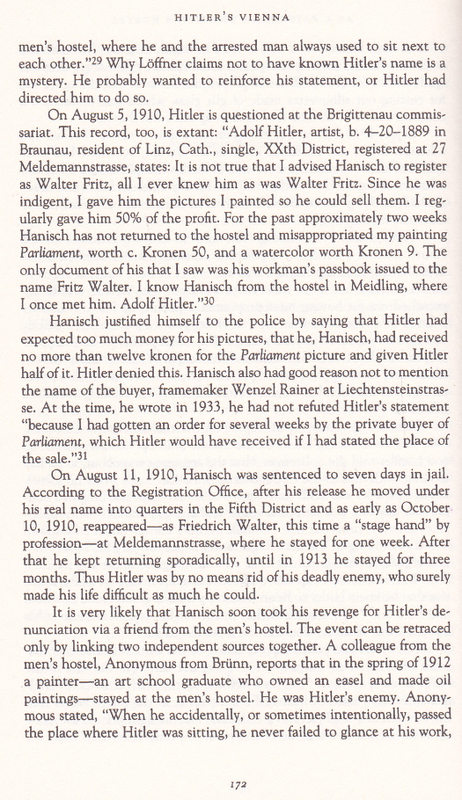 Hanisch however declared that Hitler did do business with Morgenstern, in 1910. 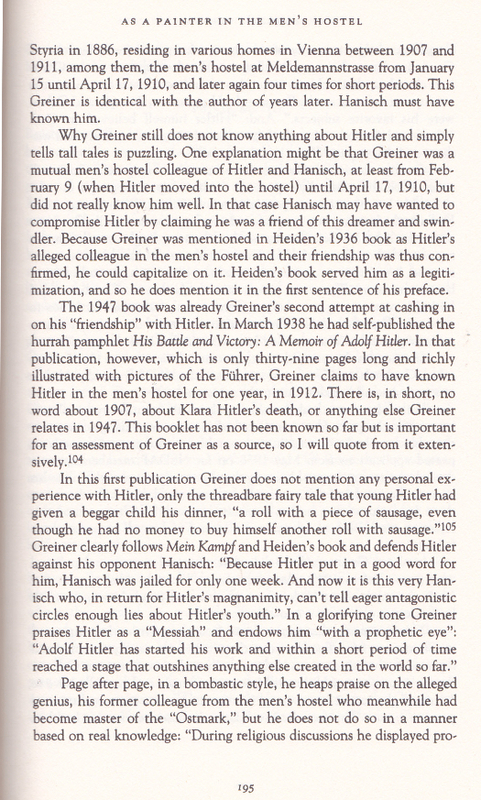 Morgenstern himself declared only, in a letter to Hitler in 1939, that Hitler had 'frequently' visited Morgenstern's shop. He doesn't mention a special relationship. First alinea - not shown here - is on statements by August Kubizek, not relevant to the paintings forgery investigation. 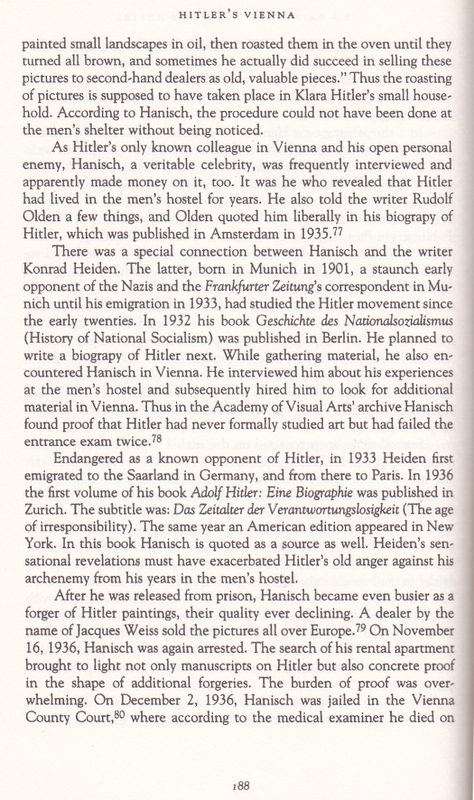 On note 65: the grand children of art dealer Otto Kallir (1897-1978) claimed in 2007 that Kallir had in 1935 urged Hanisch to write his memoirs. Kallir would have smuggled the manuscript out of Austria and sold it in Paris to Konrad Heiden. 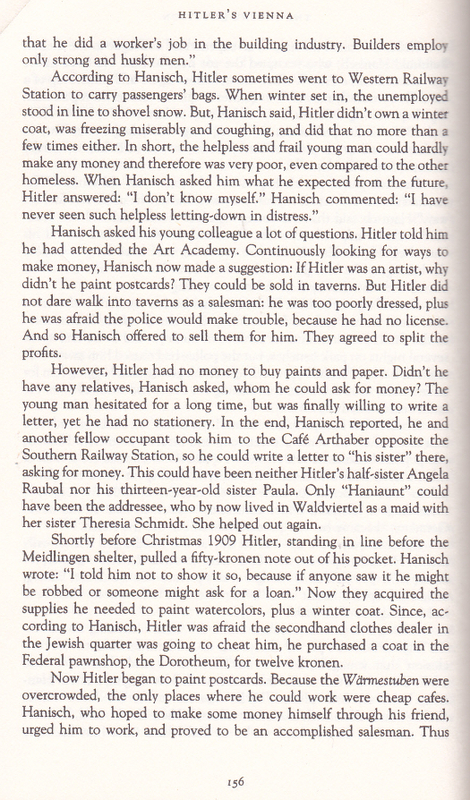 The strange part of this story is that Kallir in november 1936 testified against Hanisch, after which Hanisch was arrested. As stated in note 67: all references to Coblenz BA, NS 26/64 mean that the information is to be handled with caution. On the trial: we did find newspaper reports on the court session, but none of these reported the verdict, as the case was adjourned to be further investigated. 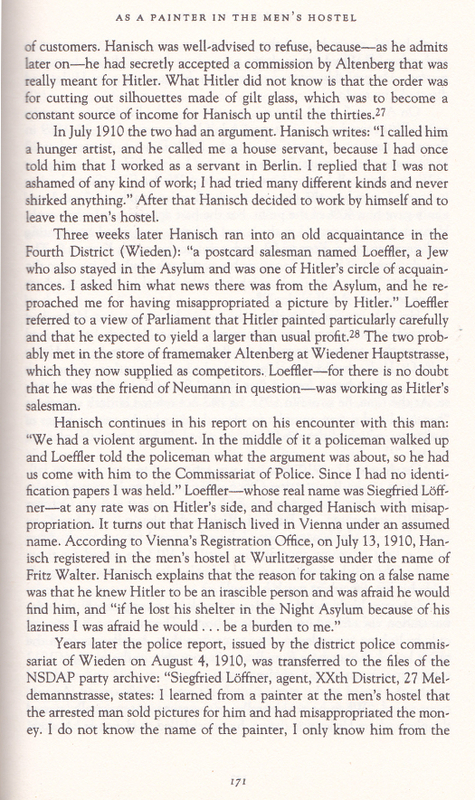 Frederic Spotts didn't find any Viennese police files on this case, which probably means that Hanisch was acquitted or that that the case ended in a sepot. 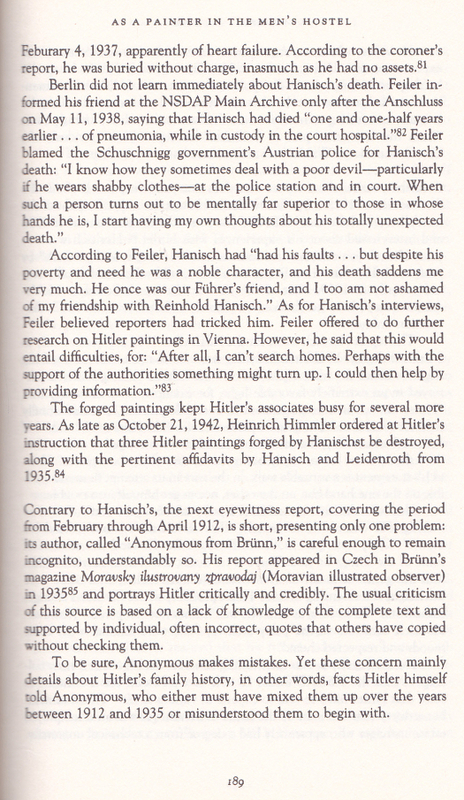 Hanisch' story of Hitler acting as a forger himself is highly unlikely. note 79: Bradley F. Smith. 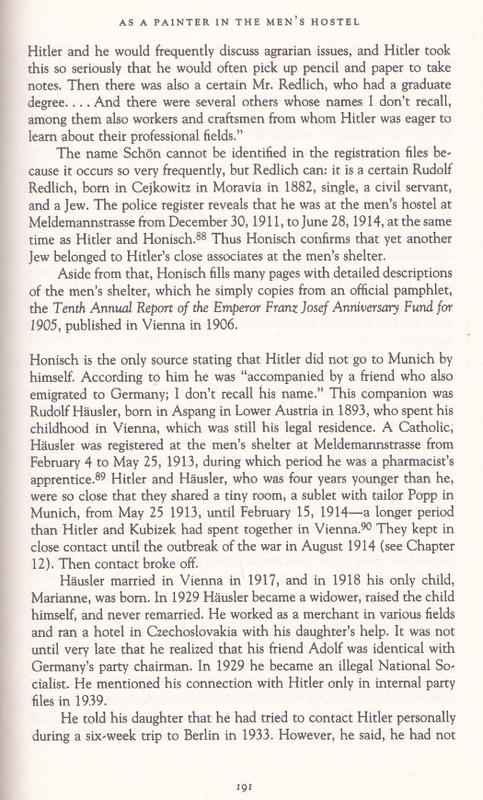 Adolf Hitler: His Family, Childhood and Youth (Stanford, 1967). Opvallend is dat Karl Honisch Hitlers enige medebewoner uit het Männerheim was die medewerkers van het Hauptarchiv in 1938-1939 wisten te traceren. Dit zegt veel over de diepgang van het toenmalige onderzoek. Bij noot 99: Werner Maser is een hoogst onbetrouwbare bron. 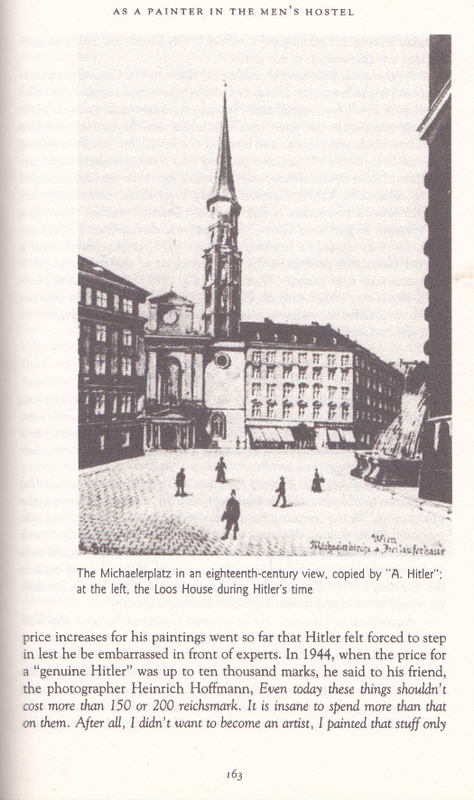 Page 397-398 - Hitler's source book? Wien seit 60 Jahren. Zur Erinnerung an die Feier der 60jährigen Regierung Seiner Majestät des Kaisers Franz Josef I. Der Jugend Wiens gewidmet von dem Gemeinderate ihrer Vaterstadt. 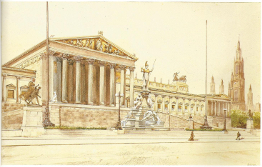 Gerlach & Wiedling, Wien, [ca. 1908]. 96 pages, mainly illustrations. Online edition by :Universitätsbibliothek Paderborn, Paderborn, 2017. In 2017 it can be bought at numerous booksellers for a mere € 5,-. This means that the circulation must have been tremendous. And it also means that if Hamann is correct on this, this book is a goldmine for every forger.